The FPS450 is a 450W supply that accepts a 95-265VAC input and outputs at 24VDC to energize up to (6) FM30, (14) FM10 or (54) FM2A modules or a combination of the three. 450W power supply includes secondary surge suppression up to 3KV. Max length of bus line is 270′ each. Supports two independent 24VDC bus lines (270′ maximum length for each line). 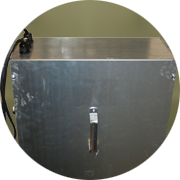 Optional 90-minute Emergency Battery Backup (50 AH) with Test Switch – FPS450-BB50. 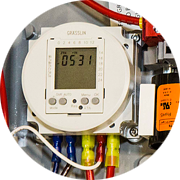 The optional FPS450DT includes a dimmer and programmable time clock that enables an additional 75% reduction in power consumption during off-hours (night mode), while providing 1-2 fc module output for emergency egress applications. Equipped with a programmable Time Clock and Dimmer. Enables an additional 75% reduction in power consumption during off-hours (night mode). Provides 1-2 foot-candle module output for emergency egress applications and supports two independent 24VDC bus lines (270′ maximum length for each line). The optional FPS450I integrates a Wireless Mesh Network transceiver and relay into each power supply enabling remote programming of light levels on a weekly schedule, as well as notification alert system. Equipped with wireless transceiver and external antenna. 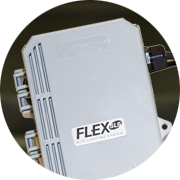 Variable signal strength for the most demanding applications. Indicator LEDs report wireless signal strength to eliminate commissioning headaches. 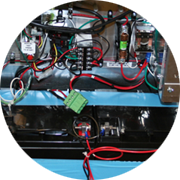 The optional FPS45-BB50 is a 90-minute emergency battery backup (50 AH) with a test switch.